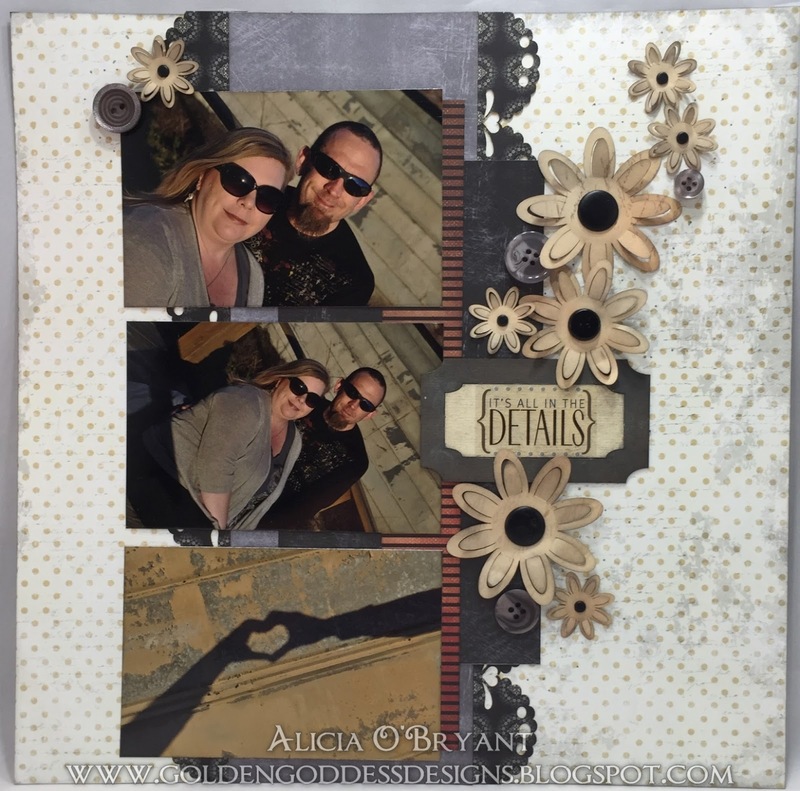 Blog Quick Quotes: Showcasing Memorabilia with Alicia! Good morning, Alicia here today, playing along with the October challenge: Use Memorabilia. 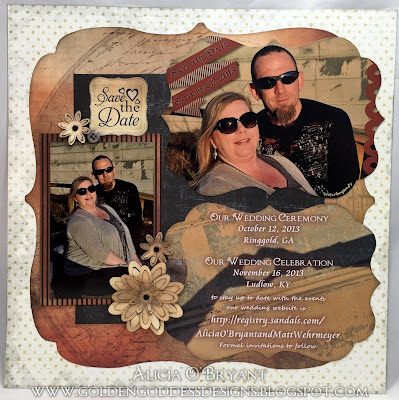 I am currently working on my wedding album. 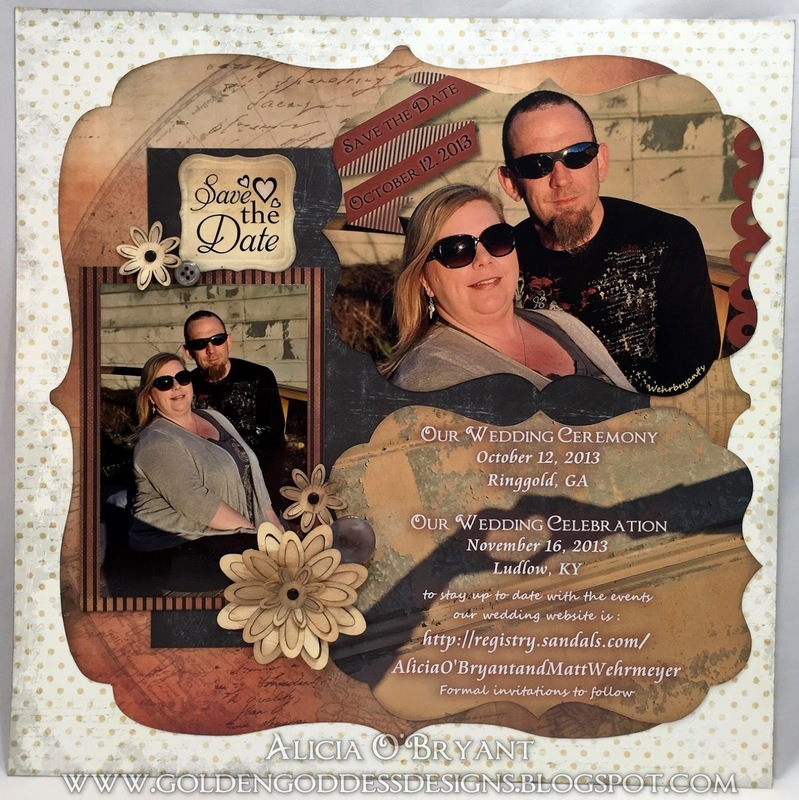 I've used my "Save the Date" postcards and the original pictures I used for the cards. Here's my second page. 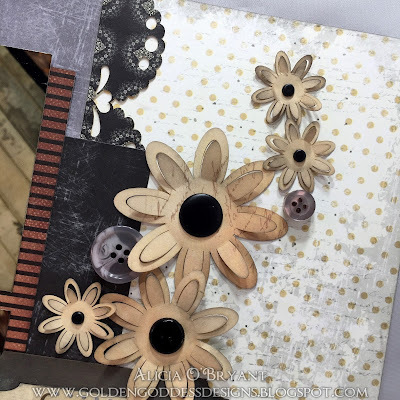 I found lots of great die cuts from past kits to mix with current paper collections. I inked up a chipboard label with Antique Linen PowderPuff Chalk Ink and another one using Midnight Confessions, then added a sticker. I used black brads in the center of all my flowers. I threw on a few buttons for good measure. Thanks so much for stopping by! Don't forget to play along with this month's challenge!